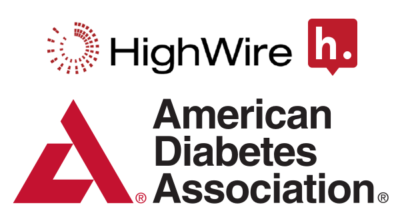 The American Diabetes Association (ADA), HighWire Press, and Hypothesis are pleased to announce the launch of a branded annotation layer to communicate updates to ADA’s Standards of Medical Care in Diabetes (Standards of Care). The ADA’s Standards of Care is published annually as a supplement to the January issue of Diabetes Care, providing comprehensive evidence-based recommendations for the prevention, diagnosis, and treatment of diabetes. Physicians, diabetes educators, dietitians, and other health care professionals rely on the Standards of Care to keep up with the latest guidelines for treating children and adults living with or at risk for diabetes. ADA staff will use Hypothesis to annotate the online version of the Standards of Care throughout the year. The annotations will anchor to specific selections of the online text, and will be used to communicate updates and new developments, clarifications, and additional information. The resulting annotations will be visible to any reader, and additions can only be made by ADA staff members. Annotations can include text, videos, and other rich media, as well as links to additional resources. They can be shared via email or social media, and persistent annotation links can be embedded anywhere on the web. 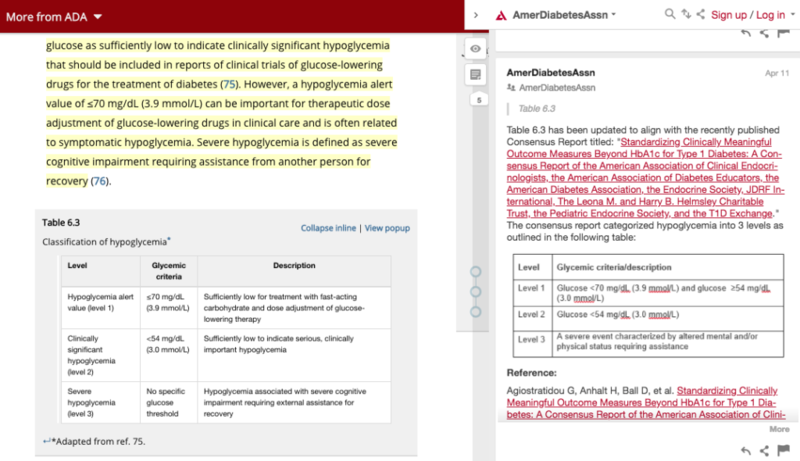 See the Hypothesis annotation tool integrated with ADA’s Standards of Care. “We are excited to be able to offer ADA this functionality to ensure accurate updates through highly visible annotation cards,” says Heather Staines, Director of Partnerships for Hypothesis. “We are especially pleased to see this first HighWire-enabled partnership go live.” For this particular use case, ADA required a world-readable group in which annotations could be made only by pre-approved annotators. Similar use cases for other publishers might include a dedicated author layer or one exposing peer review summaries. If a publisher desires, they can enable a general discussion layer on their content that is both world readable and world writable. Hypothesis can also connect to existing publisher accounts, if required. Publishers who are interested in adding publisher branded and moderated annotation groups for general discussion or for dedicated read-only layers should contact Heather Staines or contact their HighWire account manager.